Had to do some exposure and chemical tests in preparation for a demonstration at the Museum tomorrow. 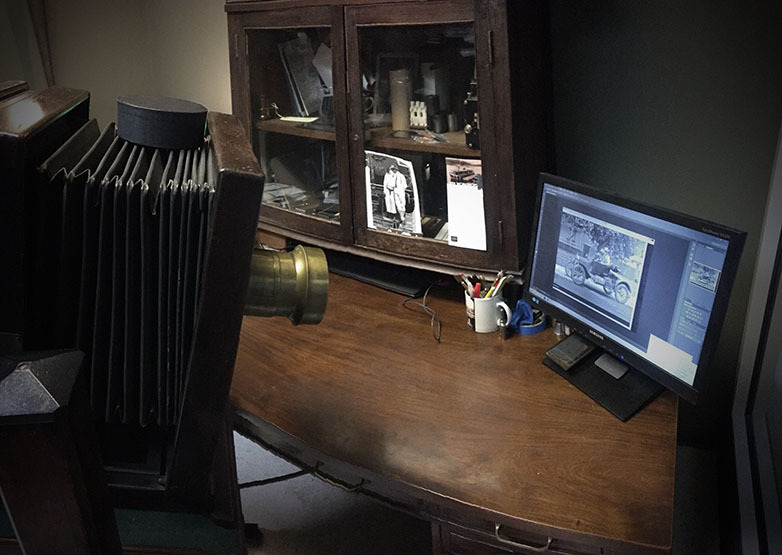 So, I wheeled a 1920s era 8x10" studio camera into my office and pointed it at the computer screen. 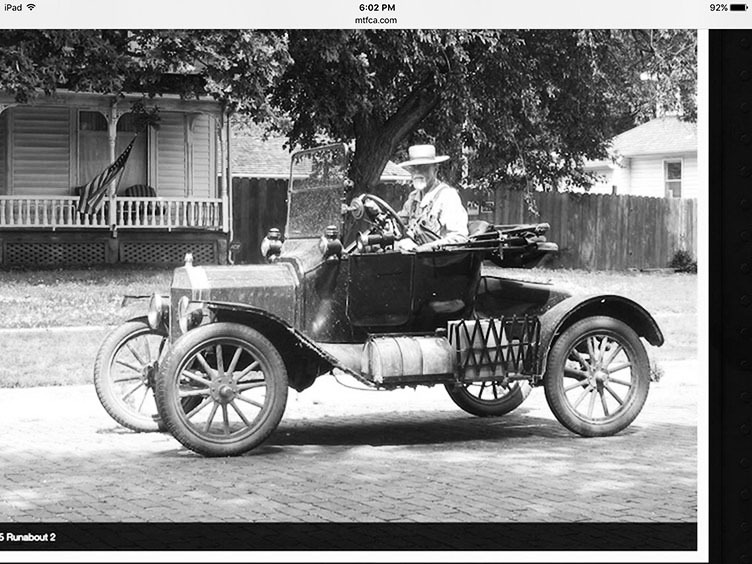 I had previously brought up a color picture of Steve in his 1915 T and converted the full color to black and white. Then I poured collodion on tintype material, sensitized it in silver nitrate and shot a copy off the screen. After developing the plate I fixed it in cyanide and gave it a five minute water wash. After washing I dried it over an alcohol lamp and varnished the surface. The final plate was trimmed down to remove the computer screen edges. I have a video of fixing it in cyanide and will try to post that when I get home from work. A very interesting step to see the image convert from negative to positive in a few seconds. Here is the image on the screen. Note that tintypes are always backwards. Mark, do you ever use a "What Is It" wagon? Yes, they tend to be very much like Gardner's shown above in your post, but stuffed into the back of rental cars. We make them on site from cardboard and toss them when we're done. 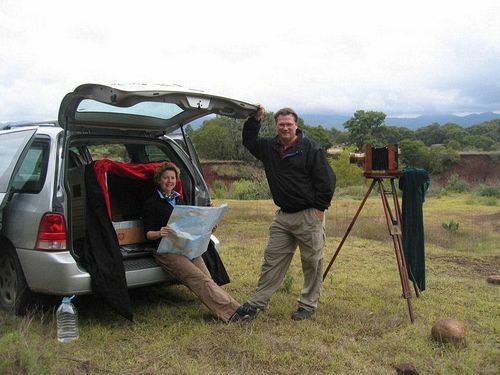 Here is a picture of my wife, France, and I shooting in rural Mexico about ten years ago. We've made/used them in England, Germany, Japan, Spain, Ireland ... a lot of them. Google Scully & Osterman for more pictures of us working with wet plates. 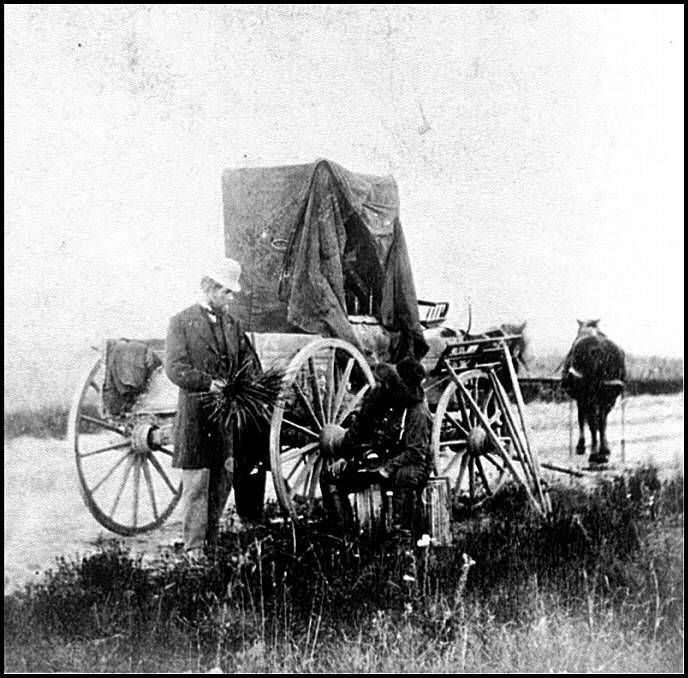 Mark O and Steve J, I always enjoy your posts about photography, its processes and history. It is a subject that has always interested me, but I never really got into it, or studied it enough to know much about it. I ended up working a lot in the related areas of video systems, so I relate very well with some of what is going on. But actual photo processing is something I have never done. I did collect antique cameras many years ago, and used a few of them. I had to sell most of the cameras many years ago for the kids' medical bills. I still have a few of little value and would like to hopefully begin using a couple of them again. 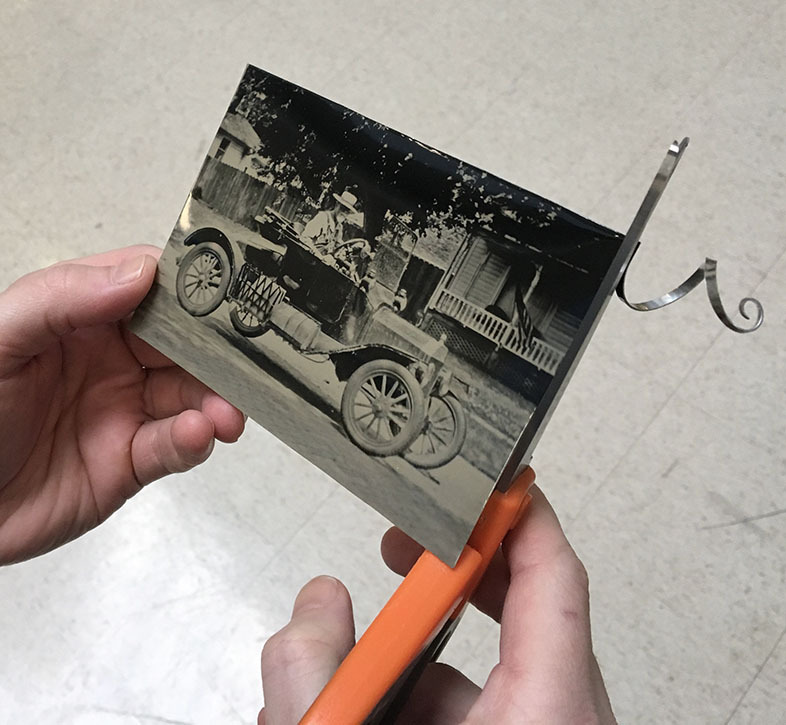 Well ... my job is teaching workshops in how to actually make the plates and films from scratch that were used in those old cameras. No experience necessary .... come on out some time. If for nothing else but to see the collection. We have about ten thousand cameras in the technology collection .. have Daguerre�s camera. Massive collections of photographs, looks and motion picture films. Unfortunately a lot of antique cameras take film sizes that are no longer available. I've shot 116, 122, 124, and others once common that are no more. 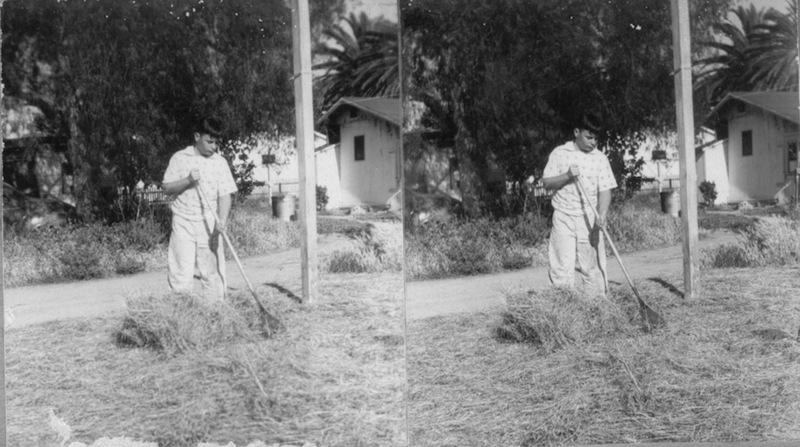 Stereo shot of my little brother, made with a pair of 116 box cameras, 1958. Wow, very cool! Thanks Mark!